Arizona and Texas will be sending 400 National Guard members to the southern border in response to President Donald Trump's Wednesday Executive Order directing the troops to "assist the border patrol" in guarding the nation's existing border fence - and of course the many miles of completely unprotected crossing zones. The troops will be armed for self defense "depending on the mission set," according to Brig. Gen. Tracy Norris, commander of the Texas Army National Guard, who added that it was "premature right now to know what the cost will be" of the overall operation. 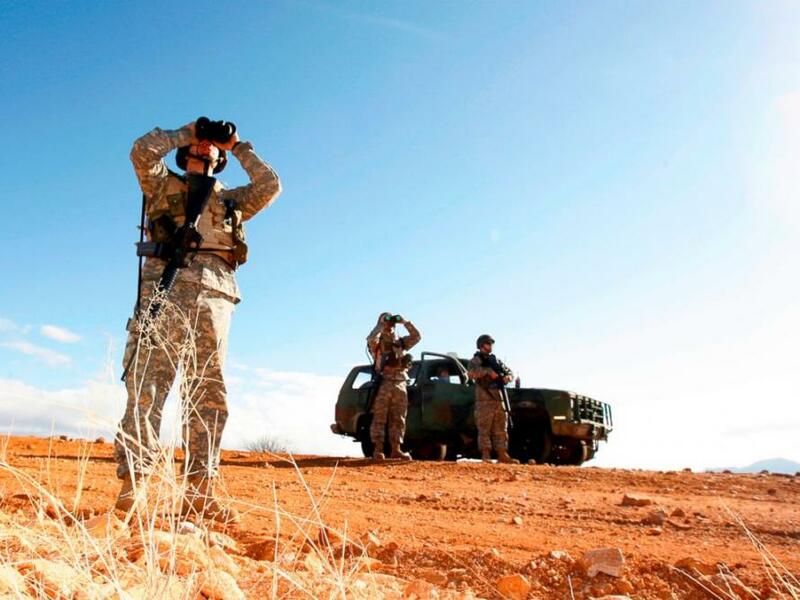 “Tonight there are National Guard troops moving in support of the border security mission,” said chief Pentagon spokesperson Dana White, who added ""The National Guard's efforts will include aviation, engineering, surveillance, communications, vehicle maintenance and logistical support." The deployment will be a joint effort between Trump's federal imitative and state-level management under what's known as Title 32. Governors will retain control of the National Guard troops, however the federal government will finance the patrols. 150 Arizona Guard members from will deploy next week, while the Texas National Guard confirmed a deployment of 250 troops over the next 72 hours as an "initial surge" which began shortly after 7 p.m. Friday at the Armed Forces Reserve Center in Austin, according to a Guard spokesman. Arizona Gov. Doug Ducey confirmed his state's deployment over Twitter. The initial wave of troops falls short of the 2,000 to 4,000 members of the National Guard that Trump told the media he wanted to send - however Defense Secretary James Mattis signed orders on Friday authorizing funding for an additional 4,000 National Guard troops until Sept. 30, who would remain under the "command and control of their respective governors." Trump's deployment was welcome news to Texas Republican leaders, who have been outspoken in their condemnation of cartel-related crime, including drugs, violence and human smuggling. Many Texas legislators had pushed to deploy the National Guard to the border years ago. Texas in fact already has approximately 100 troops at the border as part of a state-level border security operation which began four years ago under then-governor Rick Perry in order to "help combat the brutal Mexican drug cartels that are preying upon our communities," said Perry. This isn't the first time in recent history that the National Guard has been deployed to the border. Meanwhile, the DOJ announced on Friday the implementation of a "zero-tolerance" policy when it comes to prosecuting those trying to cross into the United States illegally. “The situation at our Southwest Border is unacceptable,” said Attorney General Jeff Sessions in a statement. “Congress has failed to pass effective legislation that serves the national interest -- that closes dangerous loopholes and fully funds a wall along our southern border." The National Guard deployments follow a tense week in border security, as a giant caravan of over 1,500 Central Americans began to make its way to the U.S. border in hopes of seeking asylum. While the caravan is now "mostly" defunct, Trump said earlier this week that the National Guard would remain at the border until the wall is funded and built. To that end - as Iowa Republican Rep. Steve King explained last September - "if we don't build a wall," whatever border security measures Trump employs, no matter how effective, can all be undone by the next president.